This well and a nearby spring were the first sources of municipal water service provided to the town of Gettysburg. In 1860 a small frame structure was constructed over the well which was replaced in the early 1870's wit ha new and larger "tasteful building." By the mid-1890's nearby Marsh Creek had replaced this and other local wells as Gettysburg's principal source of water. 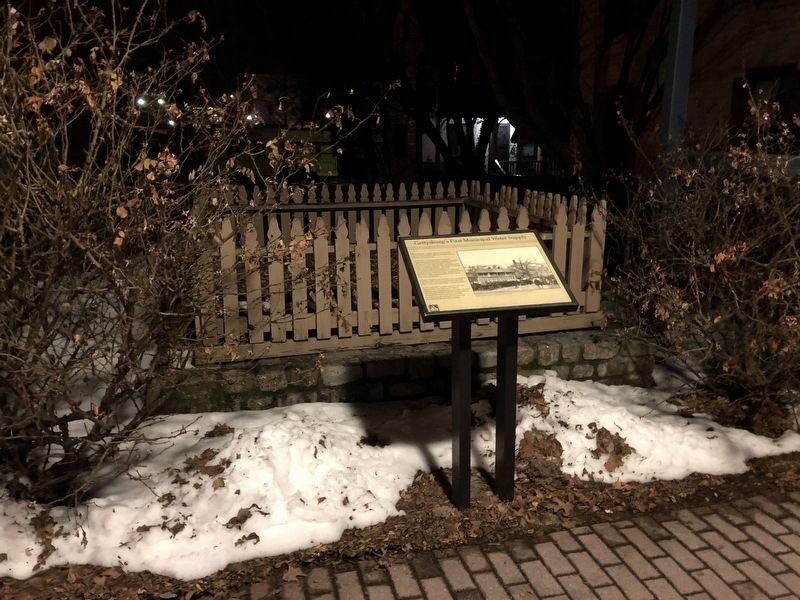 At about this time, Mr. Robert Caldwell acquired the lot and built the brick home (to your left), incorporating the spring in its cellar and dismantling the old well building. N, 77° 13.868′ W. Marker is in Gettysburg, Pennsylvania, in Adams County. Marker is on Baltimore Street (Business U.S. 15) south of Locust Street, on the right when traveling south. Touch for map. Marker is at or near this postal address: 451 Baltimore Street, Gettysburg PA 17325, United States of America. Touch for directions. Other nearby markers. At least 8 other markers are within walking distance of this marker. The Civil War Comes to Gettysburg (a few steps from this marker); Caught in the Crossfire (a few steps from this marker); The John Rupp House and Tannery Site (a few steps from this marker); The Wagon Hotel on Cemetery Hill (within shouting distance of this marker); ...Lincoln passed by... (within shouting distance of this marker); Baltimore Street - An Historic Corridor (about 300 feet away, measured in a direct line); The Evolution of Gettysburg's "Common School" (about 300 feet away); "if anyone showed himself..." (about 300 feet away). Touch for a list and map of all markers in Gettysburg. More. 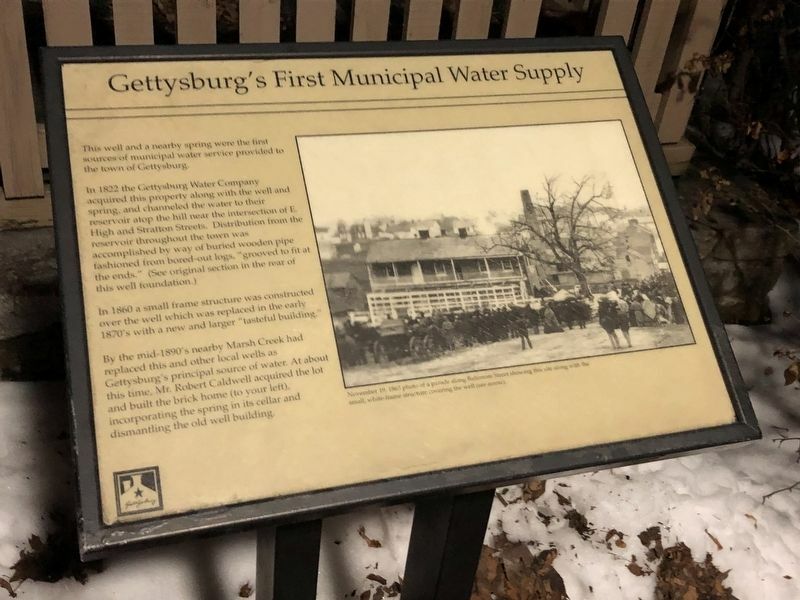 Search the internet for Gettysburg's First Municipal Water Supply. Credits. This page was last revised on February 26, 2019. This page originally submitted on February 24, 2019, by Devry Becker Jones of Washington, District of Columbia. This page has been viewed 26 times since then. Photos: 1, 2. submitted on February 24, 2019, by Devry Becker Jones of Washington, District of Columbia. • Andrew Ruppenstein was the editor who published this page.